Derek Raymond Pringle (born 18 September 1958, Nairobi, Kenya) is an English former Test and ODI cricketer for England, and is now a cricket journalist. He was educated at Felsted School and Fitzwilliam College, Cambridge. 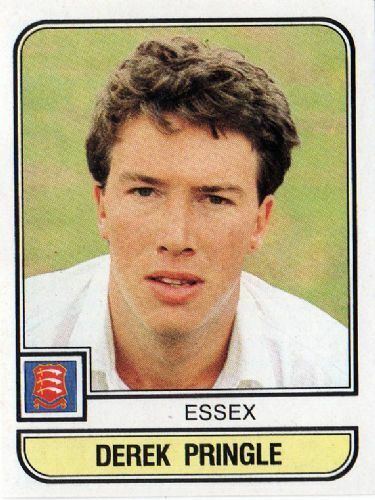 Pringle played for Essex between 1978 and 1993. He was a member of the successful sides of the 1980s and early 1990s alongside cricketers such as Graham Gooch, Mark Waugh, Nasser Hussain, John Lever and Neil Foster. In that period Essex won the County Championship six times. Pringle as an undergraduate played for Cambridge University and was called up for England, whilst he was captain in 1982. 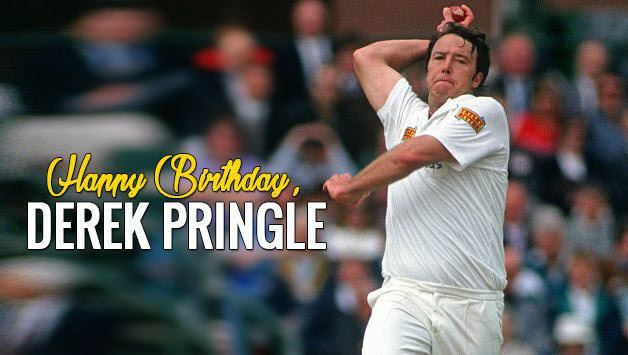 Pringle went on to play 30 Tests until 1992, scoring 695 runs and taking 70 wickets. He also played in 44 One Day Internationals between 1982 and 1993. He appeared in two World Cups including England's 1992 Cup Final team. Pringle's first-class batting average exactly matched his bowling average, indicating that he cancelled himself out perfectly. Derek Pringle's career can probably be best summed up in phases. Picked for the first time in 1982, he played several test matches that summer with Ian Botham in the same side. The selectors feeling that faster bowling was more likely to trouble the 1982 tourists (India and Pakistan) than spin. Pringle toured Australia in 1982–83 but failed to hold his place in 1983. By the summer of 1986, Ian Botham had been banned for 3 months for smoking cannabis. Pringle was therefore elevated to fulfill Botham's role. Far from being Pringle's fault, 1986 was probably one of the worst years for English Test Cricket. Pringle played in the first three match series of the summer bowling adequately but being exposed against the Indian spin attack – particularly Maninder Singh. 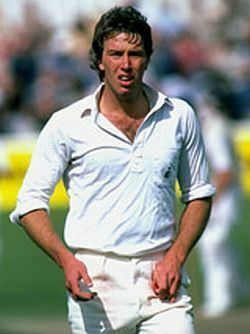 With Botham returning for the last test of the year at the Oval, Pringle was dropped and did not make the 1986–87 Australian tour. He did not return to the side until the following winter tour to India and Pakistan for the 1987 World Cup as Botham had decided not to tour. Pringle's style of bowling proved to be unsuccessful on dead Asian pitches – in particular he went for 83 runs against West Indies in Gujranwala and did not play another game in that tournament. By the turn of the year, Pringle lost his place to another aspiring all-rounder: David Capel from Northampton who played in the Bicentenary Test in Sydney as well as the Test series in New Zealand. Again recalled for the home series against West Indies in 1988, Pringle took immediate action by taking 5 wickets in the Texaco Trophy series and making a crucial 39 in the second game at Headingley which proved to be the difference between the two teams. Arguably that game was Pringle's highest point. Again he bowled adequately in the first two tests (Ian Botham being out for the season after his back operation) but, batting at the number six position, was exposed against the firepower of the West Indies pace attack. David Capel replaced him for Manchester but a poor performance from Capel saw Pringle recalled again for Leeds where he took 5 wickets. He took several more at The Oval in the 5th test and briefly captained the team from the evening of the third day after Graham Gooch sustained a serious finger injury attempting to take a catch at first slip from Desmond Haynes. England went on to lose the game. The "in out" nature of Pringle's selection continued again in 1989. Botham and Pringle played together in the Texaco Trophy but Botham sustained a facial injury facing Glamorgan bowler Steve Barwick. On a very flat pitch at Leeds Pringle was one of four bowlers put to the sword by the Australian batsmen. 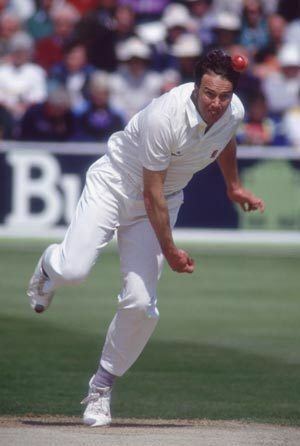 He was dropped until the final test of the series at The Oval where he took four wickets in the Australian first innings – England's most successful bowler. 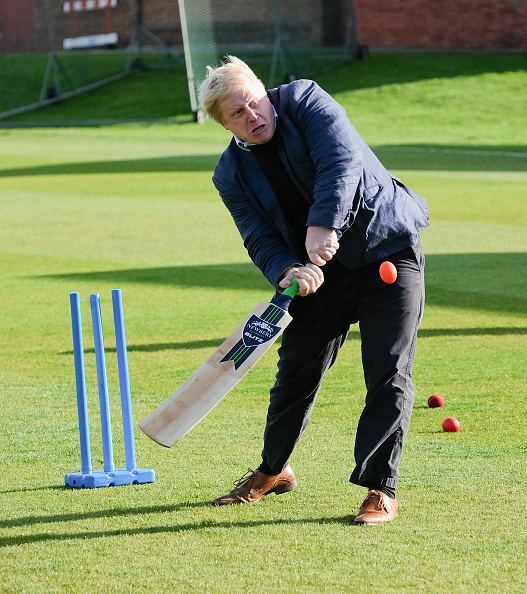 For the following winter tour to the West Indies, the England selectors pursued a youth policy which did not include Pringle. Chris Lewis became England's new all-rounder. Phase 3 – "Pring the swing"
As so often happened around this time, England's youth policy was not long lasting and Pringle was back in the England team by the beginning of the 1991 season – again against the West Indies. In the interim, Pringle had made a clear change to his bowling style – slightly slowing down and swinging the ball. In this new style, he proved highly effective throughout that series. On a lively Headingley pitch, his style took wickets and proved hard to score against. He took 5 wickets at Lord's and shared a big partnership with Chris Lewis in the second innings at Birmingham. With Botham returning from the wilderness for the final test of that series – Pringle was dropped again. For the following winter tour 1991–92, Pringle bowled tightly in the Test Series in New Zealand and was a star in the following World Cup. Opening the bowling in every game, he produced tidy figures in every match – particularly in the World Cup Final where England were beaten by Pakistan. The English home season of 1992 saw Botham and Pringle play together in the test side initially but both did not last long. Botham played his last test at Lord's and Pringle was dropped until the Leeds test match. Again Pringle was instrumental in England's win versus Pakistan but the selectors persisted with him for The Oval. By this stage, Pringle was beginning to be easier to play on flat pitches but an excellent opponent when there was anything in the pitch. On a very true fast bouncy surface at The Oval Pringle looked highly playable and his final bow on a test match field saw him having his off stump flattened by Wasim Akram. He was not chosen to tour India in 1992–93 but did make the Texaco Trophy side for 1993 against Australia. Failing to make the Test side, he retired shortly after. Pringle eventually became a cult figure late in his career. His always popular warm-up routine before coming on to bowl involved him lying on his back and apparently wrestling with an invisible octopus. He once damaged his back when his chair collapsed, forcing him to withdraw from a Test match, although the story usually (but wrongly) told is that he sustained the injury whilst writing a letter. After his playing days, he became a cricket correspondent firstly with The Independent and then The Daily Telegraph. Pringle had eclectic tastes in fashion and music in comparison to his team-mates. Pringle's interests include archaeology, photography, writing, real ale, and more obscure musical trends. Pringle picked a track, (The Soft Boys with "I Wanna Destroy You"), for Rough Trade Records 30th anniversary compilation album. Derek Pringle also appeared as an extra in the film, Chariots of Fire. His father, Donald Pringle, played two matches for East Africa in the 1975 Cricket World Cup.